We got up around 7:30am today as we were very tired from yesterday. The weather was beautiful, around 65F (18C). 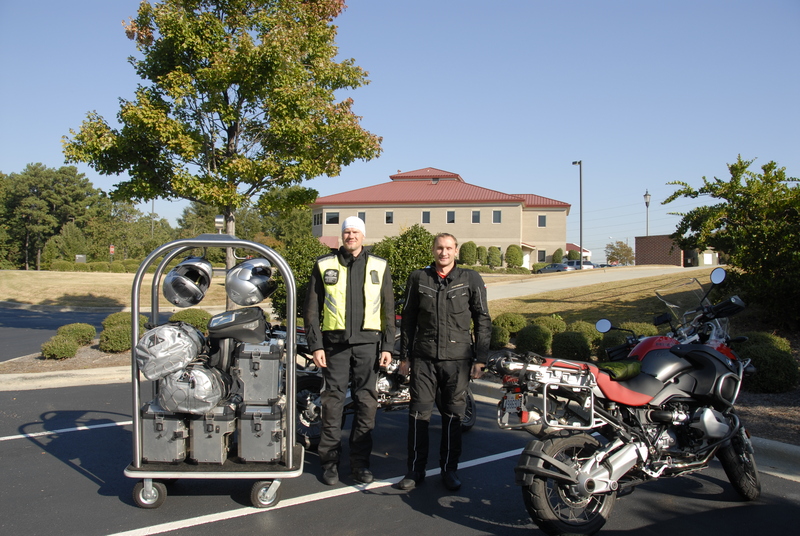 We brought all of our side cases and bags from our motorcycles inside of our hotel room and reviewed all the things we carried. We decided to leave a few items as most likely they would not be critical to our trip considering the space and weight limitations we have (see picture). After breakfast, we left to New Orleans with an objective to fix Gintaras’ bike at a nearby dealership in Baton Rouge, Louisiana. On the way, we stopped in Laurel, Mississippi for lunch. The name of the restaurant was the Smokehouse of Laurel. We had some chicken and pork. It was delicious! 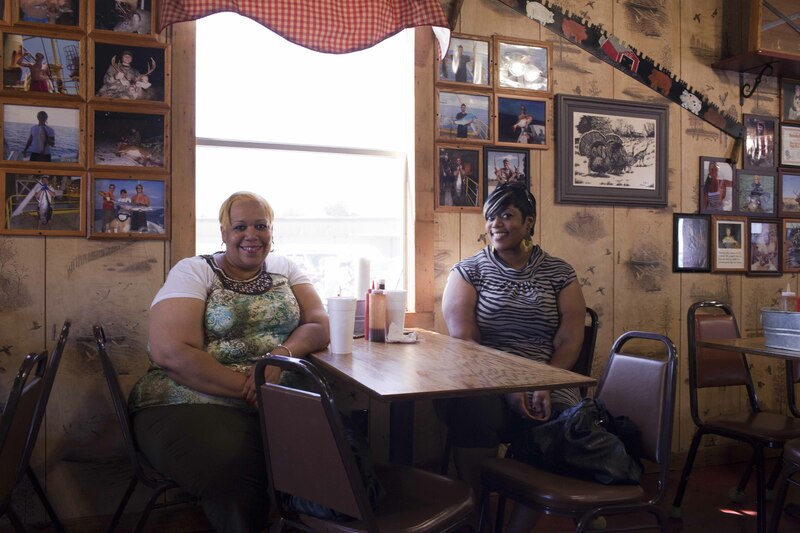 We also met two local women who asked us to take them on our trip to Argentina. They were very kind and allowed us to take their picture. After lunch we made it to New Orleans with one stop to get gas and stretch. The ride was nice and the scenery was beautiful especially when entering New Orleans. The BMW GPS gave us a few surprises before we finally found a hotel. This made our trip more adventurous. I would not mind to burn my nav system. The weather in New Orleans was 88F (31C), which is a “nice” introduction to what awaits us in the next 3 months being in a hot climate of Mexico. Tomorrow, we are taking Gintaras’ bike to Baton Rouge to fix the clutch.